The debate over what is—and what is not—historically significant enough to save from demolition continues to heat up in Los Angeles, where a Los Angeles Superior Court Judge recently ruled in favor of the preservation of the historic Lytton Savings bank building. Townscape Partners, the developers behind the Gehry Associates–designed 8150 Sunset project, are seeking to demolish the midcentury modern structure so as to have a clean site for the controversial $300 million project. 8150 Sunset will consist of 60,000 square feet of commercial spaces and 249 housing units organized in a cluster of rumpled towers surrounded by plazas. The mixed-use development has received criticism from multiple fronts, including anti-density neighborhood advocates who see the project as incongruous with its surroundings. Detractors have also criticized the project’s parking stall count, saying the project has either too little or too much parking, depending on whom one asks. Preservationists—never to be left out of a good development fight—have waged a quest to save the historic bank building at the center of the recent ruling. The Friends of Lytton Savings group successfully nominated the structure for Historic-Cultural Monument (HCM) designation last year, but not before the Los Angeles City Council approved a development scheme for the project that presupposed the bank’s demolition. The Superior Court has determined that the city’s overall project approval was in violation of the California Environmental Quality Act (CEQA), a state law meant to defend both natural and built environments from harmful development. CEQA legislation is often used in California for historic preservation aims, especially with regards to culturally-important structures that might lack normative architectural significance. The decision with Lytton, however, was made easier because the project’s Environmental Impact Report (EIR) included two development alternatives that incorporated plans for repurposing the building, which was designed by architect Kurt Meyer in 1960. Under CEQA guidelines, historic structures must be incorporated into new developments if the project can still meet its fundamental objectives without demolition. As a result of the ruling, the City’s approval is being set aside and 8150 Sunset will have to either be re-approved to include preserving the historic structure or prove that keeping the structure intact would place an undue burden on the viability of the project. Of the various groups challenging the project, the L.A. Conservancy has perhaps has the firmest ground to stand on regarding their bid to positively impact the project’s outcome. 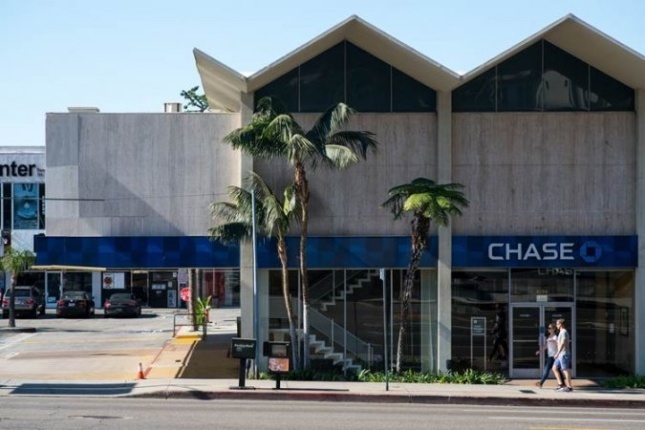 Sparing the Lytton building is a no-brainer, according to the Los Angeles Conservancy, as the structure is an important example of mid-20th-century design and has functioned for its original purpose—the building is currently home to a Chase branch bank—for its entire history. Moreover, according to the organization, the 20,000-square foot structure makes up a small percentage of the 330,000-square-foot project and could feasibly be incorporated into Gehry Partners’ plan for the site. Simply put, it’s unreasonable that the design and development teams should be able to clear a site of historic structures simply for convenience’s sake. For now, Townscape Partners’ lawyers are evaluating whether to appeal the ruling.